Did I Do The Right Thing By Euthanising My Dog? It’s been proven that socialising pets at a very young age is vitally important – puppies and kittens should be introduced to a variety of people, other animals, and everyday household activities in their first few weeks. Puppy socialisation classes are the perfect follow-up to home training. Puppies that are bought from illegal puppy farmers are always poorly socialised and need help from the professionals. Dogs may learn to deal with uncomfortable situations by reacting aggressively, and this trigger presence needs to be addressed. Modern therapy techniques include the simple opinion that behaviour that’s reinforced will increase – stopping the dog’s aggressive reaction by removing the reward so the trigger is leaving, and reinforcing positive behaviour with calming signals before offering the reward – the trigger is also leaving. Exercises are set up in a similar environment and the therapist will aim to keep the dog’s reactions at the lowest level at all times. Rehabilitation will occur if everything is done properly and the aggressive dog will start to offer friendly and playful signals instead. Owners may need careful counselling to resolve doubts and issues – if the problem seems too immense to fix in the owners mind the outcome may be unsatisfactory as the effectiveness of any program will be reduced. After extensive risk assessments it may be possible to have an aggressive dog rehomed – but the new owner must have the experience to manage the dog, and to have the financial resources to continue with therapy training as necessary. As aggression is often context specific and stimuli triggered rehoming is a distinct possibility if the safety of others can be guaranteed. Previously aggressive dogs often adapt very well to a change of environment – living in the country rather than in the town – but the history of the dog has to be taken into account to ensure safety for all concerned. Controlling and resolving behavioural problems isn’t easy and may be too risky for certain family situations. 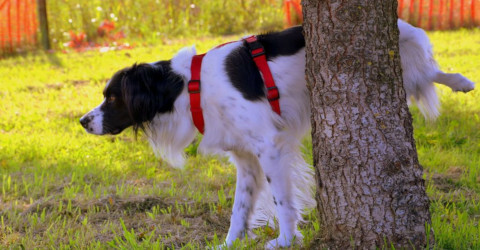 Rehoming may be an option when owners can’t cope with constant barking or howling, destructive chewing, and toileting issues – these problems can all be addressed with the right training and a confident handler – challenging behaviours can seriously affect mental health of an owner that’s struggling. Bear in mind that rehoming dogs with bite histories or cats with inappropriate elimination issues are often difficult and full of legal constraints. Many rescue groups just won’t take aggressive dogs because of liabilities if the dog bites someone in their new home. If behavioural therapy has been unsuccessful and the dog still poses a risk to other animals and people, a vet will give permission for the election of euthanasia. The dogs’ welfare will be taken into account too – frequent anxiety and aggression means living a highly stressful life. There are some types of aggression that are almost impossible to treat – violent aggression to other animals, and deeply engrained aggressive tendencies that mean it would be totally irresponsible to rehome this dog knowing the high risk of future biting – euthanasia may be the only safe option here. Euthanasia is a highly personal and permanent decision and you should never be out in the position of second guessing your decision to put a dog to sleep – you’ll need to discuss all options with your vet to make sure you’re completely comfortable with your choice. When your pets and your family’s quality of life is suffering and you need a compassionate solution, euthanasia may be the only kind way forward. Gentle pet euthanasia at home means that all the attention your dog needs at this time will be given in a familiar setting – without having to struggle to take your dog to the vet. This takes away much of the stress and pressure – and your experienced vet will easily cope with aggressive dogs without using muzzles or unfriendly methods. The process involves two injections – the first is a sedative, followed by a second that causes your dog to peacefully pass. If you need help with other arrangements such as cremation your Cloud 9 Vets will do that for you too. Did I do the right thing by euthanising my dog? Your professional will be able to give you all the help and support you need after the end-of-life-caring procedure – putting a dog down is always traumatic but you’ll come through knowing that your decision was the kindest and best alternative for your pet. 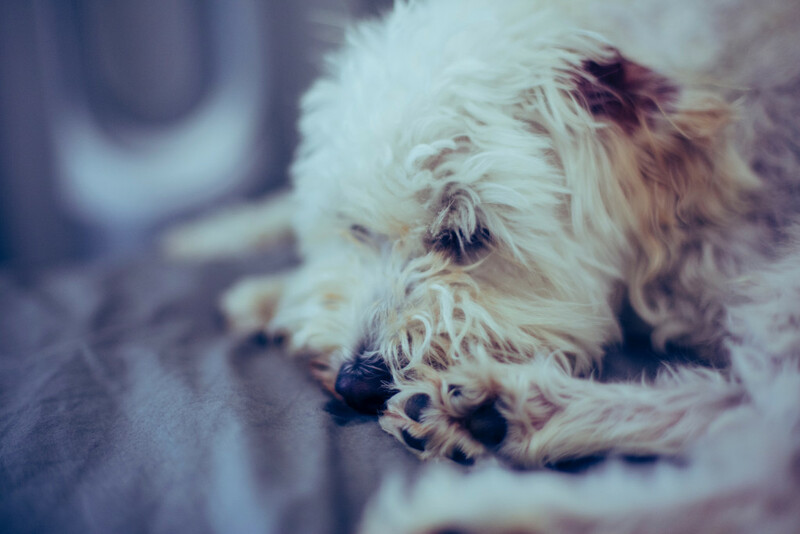 It’s normal to feel guilt over euthanising your dog, or putting your cat to sleep, but there are organisations to help you – you’ll get support from forums, chat lines, and online. As a pet lover you’ll be overcome with the emotion that you’ve betrayed your friend, and this’ll be accompanied by feelings of anger and helplessness.